Spin one target character up or down one level. / Spin another target character up or down one level. ^ What If? 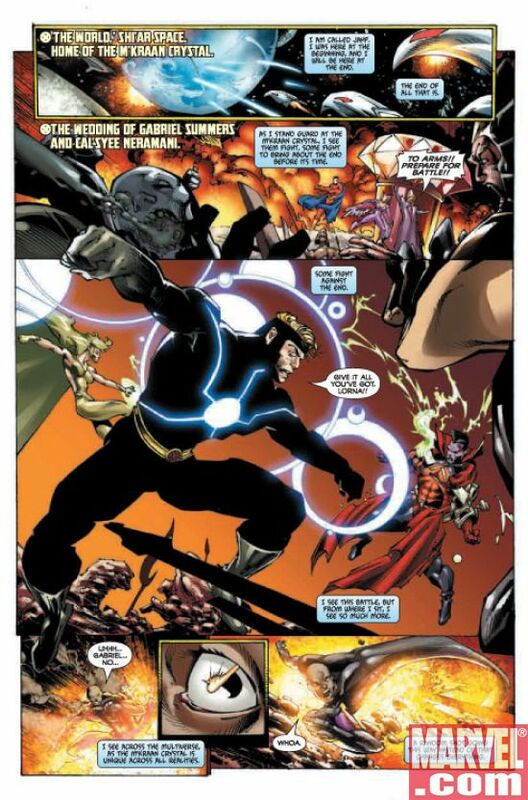 X-Men: Rise and Fall of the Shi'ar Empire Vol 2007 #1 Page 1. Marvel Wikia Database. Retrieved 2 November 2016.